Annan Athletic and Queens Park commenced their second quarter fixtures exactly like their opening league match of the season with Annan once again lifting the points which secured their place at the top of the league in a highly entertaining game. The result was in doubt until the dying minutes when Josh Todd finally put the game to bed after the Spiders went all out to grab an eqauliser with Annan defending the 2-1 advantage that they had built up. Annan started the match without key defenders Steven Black and Steven Swinglehurst , their places being taken by Ryan Finnie and Steven Sloan, with Bryan Gilfillan given the key role at the centre of a back three defence. Queens Park came into the game on the back of a fine victory over Elgin to secure a semi final place in the Petrofac Training Cup. Their team showed a couple of changes with David Galt and John Carter giving way to Joe Bradley and Sean Burns. Queen’s Park started promisingly, enjoying plenty of possession but without displaying any real cutting edge up front. It was Annan who produced the first real goal threat in the 8th minute when Weatherson combined with Flynn who set up Josh Todd but the effort failed to hit the target going narrowly over the bar. At the other end Spiders won a corner but Ralston’s header failed to find the target. Flynn received his customary yellow in the 15th minute and minutes later Annan were dealt a blow when Watson had to leave the field with a hamstring injury his place being taken by on loan Motherwell player David Ferguson. Queens Park suffered a similar blow when Duggan suffered a similar injury, his place being taken by the impressive John Carter. Annan were starting to get a hold on the game , but they had a real let off in the 30th minute when Burns won the ball in midfield before feeding Jamie McKernon who hit a glorious effort which cracked the outside of the post with keeper Jordan Hart well beaten. It was a real let off for Annan but in the 36th minute they cut open the Queens Park defence with a well created move. Flynn was the architect when his precise pass caught the Queens defence on the turn and Smart Osadolor running on to the pass finished clinically with a low shot from 12 yards past keeper William Muir. 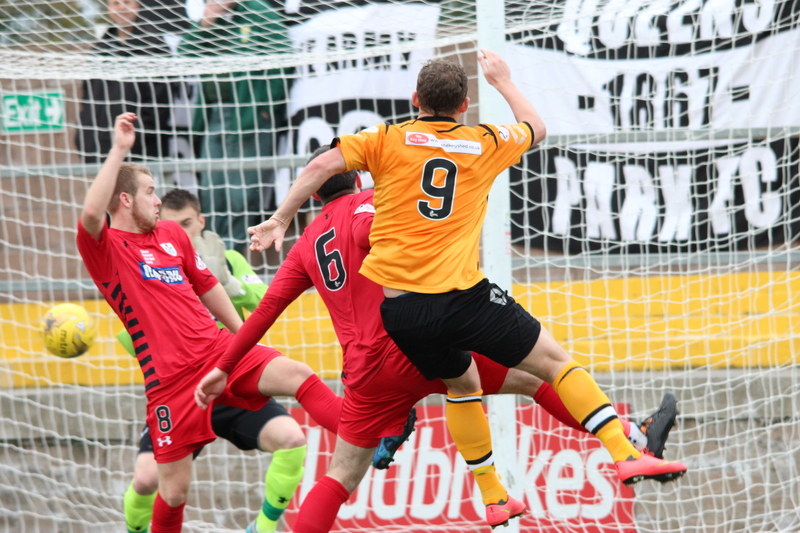 Annan then dealt the Spiders a real blow when they doubled their first half lead in the 41st minute. Rabine Omar’s near post corner swung in from the right found the old warhorse Peter Weatherson who timed the cross to perfection to flick the ball into the opposite corner of the net despite a desperate effort by Ralston to stop the ball crossing the line. The visitors started the second half on the offensive , Ralston’s back post header from a Burns corner never really tested Jordan Hart, this was followed by a Paul Woods effort which sailed over the bar. Queen’s Park were pushing hard to get back in the game with Annan appearing content to defend any threat that the Spiders could throw at them. Then with 68 minutes on the watch Queens were back in the game , it was a superb goal created by Joseph Bradley who’s 25 yarder cracked the cross bar but Paul Woods connected with the rebound with a skilfull acrobatic volley to send the ball into the top corner of the net. McElroy and Galt were introduced immediately for Berry and McLeish as Queens Park went on all out attack to square the match. Annan were being tested defensively as Queen’s made their intentions known. With 15 minutes left, the woodwork once again came to Annan’s rescue when McElroy and Ralston combined to set up Bradley who could only watch as his shot cracked off the crossbar. Annan were defending their slender lead and as Queens Park surged forward the spiders left themselves open to a counter attack and in the final action of an enthralling match Ralston uncharacteristically failed to deal properly with a ball played over his head and Ralston played the ball into the path of substitute Stuart McColm who’s effort was parried by keeper William Muir into the path of Josh Todd who pounced to slot the ball into the empty net to secure an excellent victory over a very good Queen’s Park side who’s biggest failing was their inability to penetrate a re-arranged Annan defence in which Gillfillan was outstanding as was David Ferguson who was introduced early on for the injured Watson. ANNAN ATHLETIC: Jordan Hart, Bryan Gillfillan, Ryan Finnie, Martin McNiff, Peter Watson ( David Ferguson 17 min), Steven Sloan, Rabin Omar, Mathew Flynn (Ryan McStay 74 min), Peter Weatherson, Josh Todd , Smart Osadolor (Stuart McColm 70 min) SUBS NOT USED: Blair Currie, Greig McDonald, Jamie Watson, Scott Norman. QUEENS PARK :William Muir, Anthony Ralston, Craig Mcleish (David Galt 68 min), Vincent Berry ( Ciaran McElroy 68 min), Ryan McGeever, Bryan Wharton, Paul Woods, Jamie McKernon, Christopher Duggan (John Carter 21 min), Joseph Bradley, Sean Burns. SUBS NOT USED: Connor O’Boyle, Cameron Marlow, James Batey, Scott Gibson.